We are talking with Geoff Gauldin, CEO/Founder of 3essentials Hosting - a leading high performance web hosting provider. 3essentials is known to providing outstanding feature rich hosting services with affordable pricing. HOSTSEARCH: Geoff, thank you very much for an opportunity to talk with you today. Can you please give our visitors some background about yourself? GEOFF GAULDIN: Hi and thank you for the opportunity to speak with you today. I started my career in 1996 with IBM. In the 1990’s I worked for IBM and United States Postal Service. I led a team of 15 systems administrators managing the start-up of the USPS Package tracking system. Our team was responsible for making sure the messages made it from the local Post Office to the USPS Mainframe. It was an exciting time to see technology grow at enormous rates. And that growth hasn’t stopped. I also worked for a tech startup and found my roots in internet technologies such as web clusters, and data center management. In 2001 I founded 3essentials. HOSTSEARCH: Can you tell us a bit about the history of 3essentials Hosting? GEOFF GAULDIN: I founded 3essentials in 2001. The concept was basic at the time. I had a few colleagues that had acquaintance’s that wanted their website hosted somewhere. Web hosts were far and few at that time. I agreed to host their sites and the rest is history as they say. Between 2001 and 2005 we saw extreme growth and did very little advertising. We grew, and hired staff. I relied on my background from my days at USPS and my technology background to hire the right key people to help us achieve our goals. 3essentials continues to be a great passion of mine. One of the most rewarding aspects of running 3essentials is job creation. And having a really fun work environment. HOSTSEARCH: Could you give us an overview of 3essentials Hosting's products? GEOFF GAULDIN: Sure. From 2001-mid 2014 we offered shared hosting for both the Linux and Windows Platform, using popular control panels such as cPanel and Plesk. We offered this same build starting in 2004 on VPS’s and Dedicated servers. In 2013 we began adopting the Cloud model. Now, in 2015 we are 100% cloud driven in our product lines. 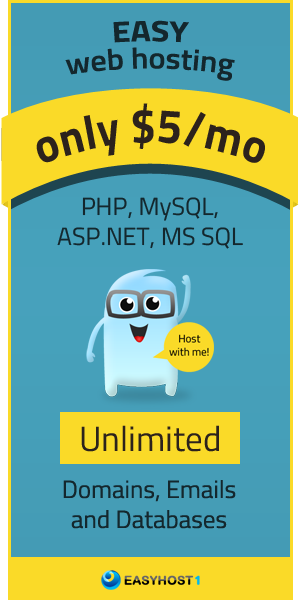 All “Hosting” plans that include our very popular hosting builds are based on Cloud Servers that can scale. This is an exciting time for us as we are in the process of building our own version 3.0 Cloud Platform from the ground up. Our version 2.0 Cloud Platform is feature rich and allows for easy scaling of servers for our customers so they can start small and grow without the need to move their data. Just a quick upgrade in place. All cloud servers and cloud hosting services include backups by default, no extra charge. This makes us unique in the industry. Version 3.0 will include even more exciting features. Follow us on Twitter and Facebook to stay informed. HOSTSEARCH: Can you tell us more about “LAMP Cloud Hosting” at 3essentials Hosting? GEOFF GAULDIN: LAMP, which stands for Linux, Apache, MySQL, and PHP, is an acronym we used to describe the software build that powers the LAMP Cloud Hosting Plan. It comes in two flavors. Driven by either cPanel or Plesk, it’s the customer’s choice. We are one of the very few providers that offer both panels. We have deep experience in both. Customers can deploy both flavor and then increase resources as they need more. HOSTSEARCH: Let’s talk about the servers and data centers. What are your equipment’s and connectivity’s? GEOFF GAULDIN: 3essentials operates our own data center. We have multiple Gigabit Tier 1 connections from multiple carriers such as AT&T, TW Telecom and Level3. Our data center has all the bells and whistles. Diesel Generators, Liebert cooling, and room level UPS. Our servers are a bit of a closely held secret that we use. I can say we use all enterprise class hardware. Enterprise AMD/Intel CPU, Enterprise SSD Drives - not the cheaper SSD’s you buy at a local retailer, Multi-Gigabit cloud network mesh. HOSTSEARCH: What level of support do you provide? GEOFF GAULDIN: We provide 24x7 support via Live Chat and Support Tickets. We also provide Telephone Support. Our phone support hours can be found on our website. HOSTSEARCH: How do you see web hosting trend going? 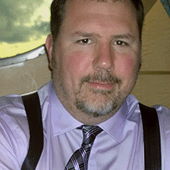 GEOFF GAULDIN: I see the web hosting trend continuing to grow. It is how 3essentials as a provider delivers the web hosting platform to our customers that will evolve and change over time as the industry changes and evolves. Our customers want a simple and fast way to manage their websites. We as a company will always focus on this - delivering quality to our customers. HOSTSEARCH: What new products can we expect from 3essentials in 2015? GEOFF GAULDIN: We have rolled out new Cloud Distros. Docker Cloud Server, WordPress Cloud Server just to name a few. Customers can purchase a cloud server then deploy this distro without the need to install the software themselves. We’re currently working on a High Density WordPress Cloud Server. The goal is low cost, a light weight easy to use Panel. And of course this will be deployed on our very fast SSD Storage based cloud. We have it in demo and it’s pretty fast. Beyond that we are looking to build a Cloud based DNN (DotNetNuke) Distributed Platform. Customers will be able to purchase a single plan that includes two or more cloud servers that easily link together to provide a distributed DNN Solution. Customers can build these today themselves, we want to make it easier to deploy. HOSTSEARCH: What have been the company's key accomplishments? GEOFF GAULDIN: We have a great staff - I can’t say enough about our staff. Our key accomplishment for 2014 was the move to 100% cloud solutions. For 2015 it will be the roll out of version 3.0 of our cloud. Our ongoing focus is to always listen to our customers and learn from what they want in a provider. HOSTSEARCH: Well Geoff. Thank you for your time today. GEOFF GAULDIN: You’re welcome. I wanted to thank you for inviting me to interview today. I also want to thank your readers for taking time reading this interview. I hope it was insightful. For all Hostsearch readers. As someone who founded a company and made it a success I want to offer these simple words of encouragement. Believe in yourself, work hard, and take time for you and your family. You will be just fine. Good Luck!